Western Pennsylvania has lots for dogs to do, but you need people to drive you (and to read this). Thanks to my human for typing up these favorites. 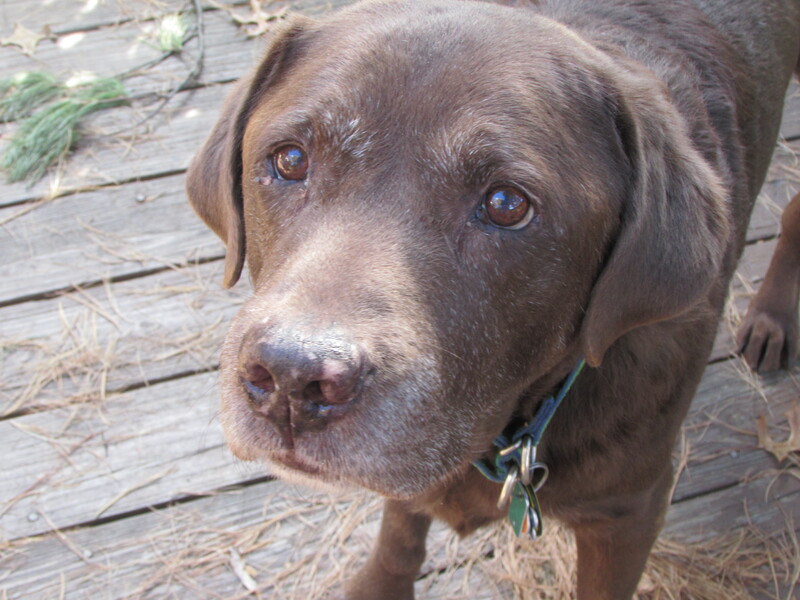 Hurricane is a chocolate Labrador retriever who shares the Kirkland house with four other Labs. Besides the popular ones in Allegheny County’s South Park and North Park, there are lots of fenced places to run, sniff and play off-leash in the city and suburbs. City parks that have dog parks include Riverview on the North Side, Olympia on Mount Washington, South Side, Bernard in Lawrenceville and Frick in Squirrel Hill. Most have separate areas for large and small dogs and water spigots, but bring your own dish and water jug just in case. While you’re at it, bring poop bags and towels, too, since the grass can be pretty sparse from all that socializing. Most of the regulars (dogs and people) are friendly, but bring your good manners and know how much togetherness you can handle. These fundraisers feature 1- or 2-mile leashed walks on blacktop (tough on my knees), but you get to sniff lots of nice, um, faces, and there are usually kiddie pools and treats at the end. The Shadyside Pup Walk in April benefits the Animal Rescue League Shelter & Wildlife Center. In June, the Panera Pup Walk around The Waterfront in Homestead helps the Western Pennsylvania Humane Society, and in early August, you get to walk across the Roberto Clemente Bridge to raise money for Animal Friends and the other two shelters. Find details on these and other events in Linda Fuoco’s Pet Tales column at post-gazette.com. Just before they close public pools for the season, Dormont, Crafton and Mineral Beach in Finleyville invite hundreds of dogs for a swim. If you can’t wait until September, check out the dog pond with a jumping dock at Misty Pines Dog Park in Franklin Park or the indoor pool at See Spot Run Dog Park in Greensburg. There’s only room enough for me and three big friends but if your friends are Chihuahuas (do they swim? ), you can invite a dozen. 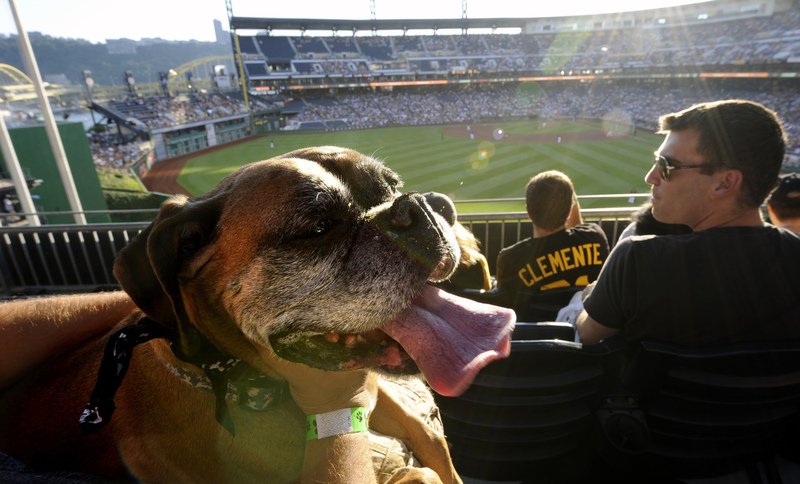 Now you can enjoy a Pirates baseball game on the North Shore with your best friend and dozens of new buddies. Since you’re sitting on the deck in deep left field, there’s no chance to chase pop flies but that’s probably a good thing (ballplayers hate slobber). Details at http://pittsburgh.pirates.mlb.com. Sure, you have to be on a leash and someone has to pick up after you, but that’s a small price to pay for all the great smells and hills and friendly folks (with two and four legs). I especially like parks with ice cream and kids who hold their cones too low.